Brew Lagoon: Grogg say OOK! Brew Lagoon is a land outside of our time and space--part of the Tiki Realm, defended by the Great Mo'ai, represented by the Cosmic Bartender. 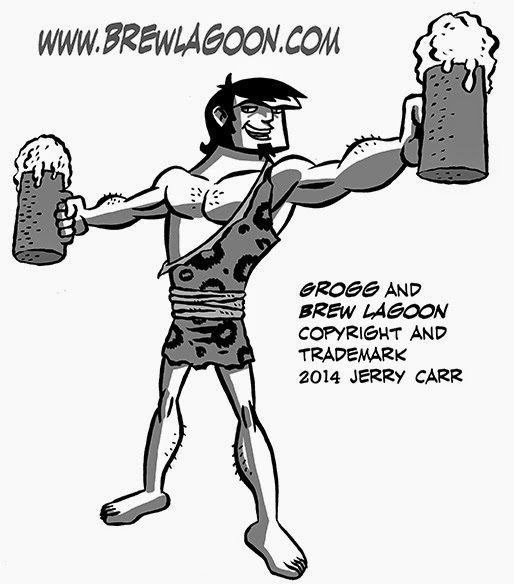 Brew Lagoon is the latest creation of Jerry Carr, and is a collection of single page gags, sequential web comics, and full-page illustrations. Grogg doing what he does best--drinking! Are You Ready For TikiMonkeyGirl?